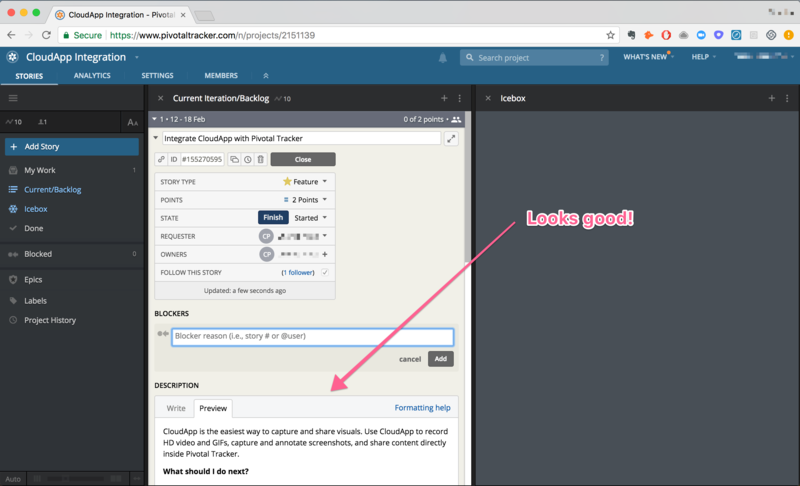 Become more agile inside Pivotal Tracker. 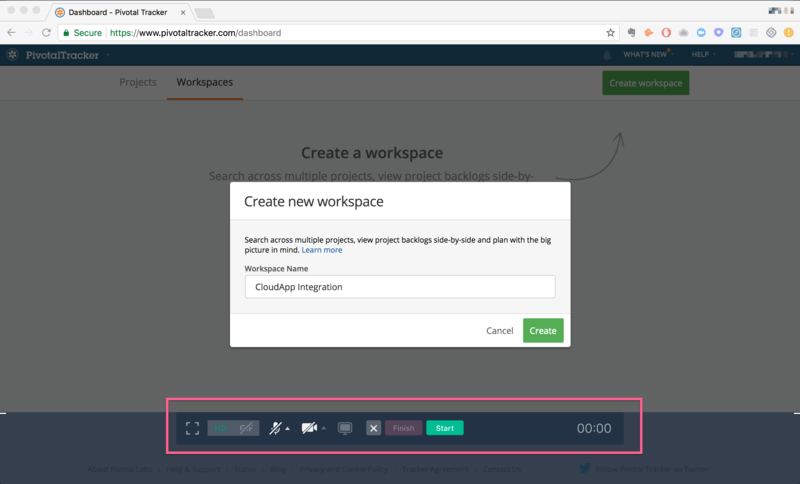 Create and share your HD video, GIF, and screenshot annotations directly in Pivotal Tracker using the CloudApp Integration. CloudApp helps software teams communicate 300% faster using visuals. Capture HD video, GIFs, or screenshots that can be shared directly into any Pivotal Tracker story. Remove the back and forth and quickly get to the point all right within Pivotal Tracker. CloudApp lets you quickly annotate screenshots or GIFs to instantly call out bugs, suggestions, and enhancements.